Perth and Area is an outdoor and recreational activity paradise, just waiting to be discovered. Located in the Canadian Shield, with lots of lakes, rivers, forests and fields, makes Perth an ideal setting for outdoor, year round, play. 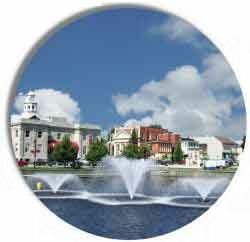 Visit Smiths Falls - 10 minutes away. Visit Westport - 20 minutes away. 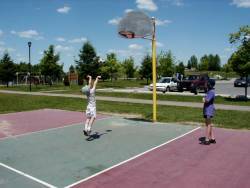 Situated in the southeast corner of Perth, Conlon Farm boasts 50 acres of outdoor fun. Scoccer fields, ball diamonds, basketball courts, beach volleyball court, tennis courts, huge playground, skateboard park, skating rink, toboggan hill and cross-country skiing. Snack Bar and washrooms (open May to October), lots of parking, picnic tables and walking paths make Conlon Farm a great place to spend your time while in Perth. Admission: Free! 29 kms from Perth Town Hall, southwest. Huge rock outcrop rising hundreds of feet above the town of Westport. Scenic view is second-to-none in Ontario. Nature trails, beaver pond, wildlife and plants galore. Picnic tables, parking and restrooms. Admission is $5.00 per vehicle; donation box at site. Only 5 kms from the Perth Town Hall, south on Rideau Ferry Road. 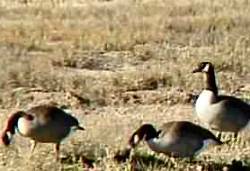 Huge Canada Goose migration area. The scenic Nature Trail wanders through the reserve with a lookout tower viewing over the Tay Marsh towards the Rideau Canal System. View the largest colony of Showy Lady Slipper orchids in Canada at Purdon Conservation Area in June. 32 kms from Perth Town Hall, northwest, off Lanark County Road 8. 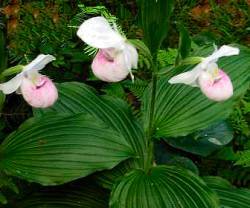 Nature trail, wheelchair boardwalk loop, picnic area, lookout platform, rock outcrop, trail benches, washrooms, parking and the magnificent Lady's Slipper orchid colony (10,000 orchids) blooms around the third week of June. Admission is by donation, box at site. 12 kms from Perth Town Hall, out the Rideau Freey Road. 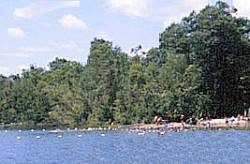 10 acres of woodland, meadows and a sandy beach on the Rideau with roped-off swimming area, barbecue pits, picnic tables, change houses and restrooms. Public day-use to the Rideau System, including a boat launch. 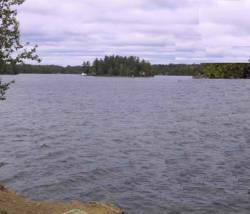 Also located west of Perth on the Trans Canada Highway (hwy #7), Silver Lake is only 20 kms from Perth. 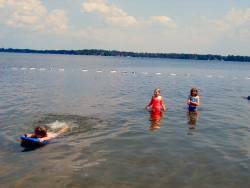 Camping, fishing, swimming on nice sandy beaches, change houses, washrooms, showers, picnic areas and picnic shelter, nature trails, wildlife viewing opportunities, camping, boat ramp and playground for the kids.